IT Priorities 2015: IAM tops security initiative in UK and Europe - IT priorities 2015: How will IT decision makers spend this year's budget? IAM is to be the top security initiative by UK and European firms in 2015, according to the latest annual TechTarget/Computer Weekly IT Spending Priorities survey, replacing network security in the top spot of European countries in 2014 and mobile endpoint security for UK companies. The TechTarget/Computer Weekly data shows this trend is set to continue. Across Europe, 33% of 2015's respondents indicated they plan to implement IAM initiatives, while 36% of UK respondents voted for IAM. Analyst and director at research firm Quocirca, Bob Tarzey, said IAM is key to implementing all IT security. 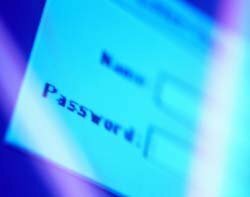 “An increasing focus on IAM deployments is to extend them to outsiders and broaden the scope of access controls,” he said. According to Tarzey, this often means interfacing to multiple sources of identity or federating identity management.